Ever heard of Pheed? Its rapid expansion and growing popularity has caught the attention of experts, marketers and brands, looking for more engagement opportunities, especially among the younger audiences, who, above all else, demand freedom. 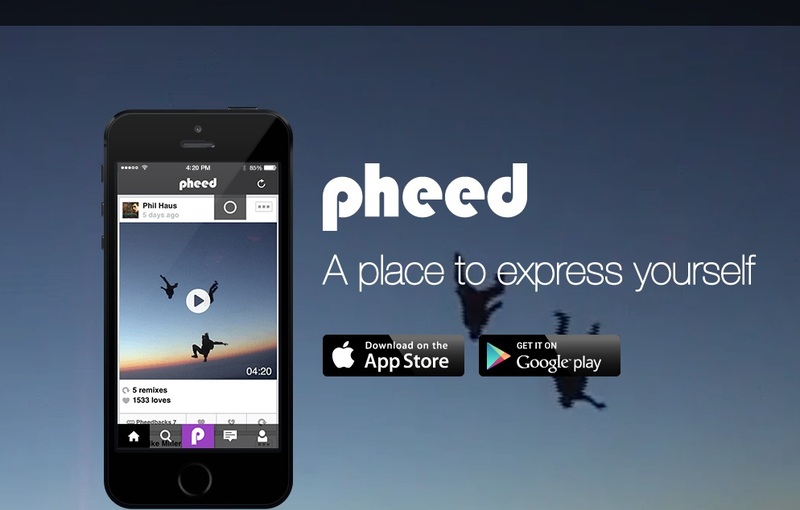 First and foremost, Pheed is a social network that allows teens to express themselves. Pheed launched back in 2012 on the App Store and later in 2013 for Android. Once described as ‘the next Twitter‘ by Forbes, ‘the #1 social network to watch in 2013‘ by the Huffington Post and ‘the social media company of the year‘ by Business Insider, Pheed is still a social network whose history remains to be written, until this very day. Labeled by many experts as Facebook’s teen counterpart, Pheed consists, in its vast majority, by teens. I can best describe Pheed as a multimedia social channel – add YouTube, Twitter, Instagram and Facebook and mix them together with creativity, passion and pure teen craziness. To access the social network on your browser, you must first download the app and register through your mobile device (what a nice marketing trick, there). To access @Pheed on your browser, you must first download the app and register through your mobile device. When it comes to brands, Pheed has been an excellent platform to promote the artistic side, rather than going after a more standard advertising method, encountered on other social media platforms. As a conclusion, Pheed is a place where brands, so far, show their creative skills and interact with the younger audience on a social basis only, without diving into mainstream marketing. Hint: Most brands are artists, musicians, local business and teen-related companies. Could be good, could be bad, nonetheless, Pheed looks like it’s there to stay, progressing steadily and focusing on its rapidly growing community. Surely, what will unfold for the network, remains to be seen, but I will definitely keep tabs on it. Download Pheed for free on the App Store and Google Play and promote the artistic you. Try it yourself, and tell me what you think.